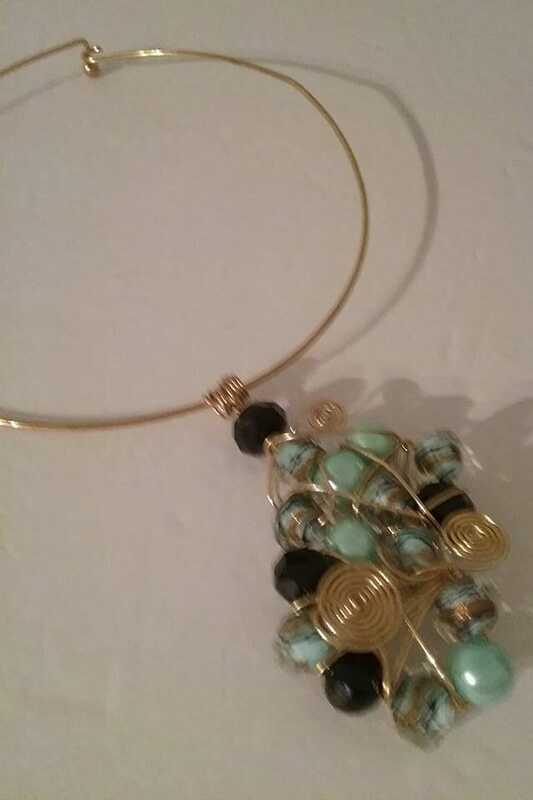 Wire Boho choker and bead pendant. 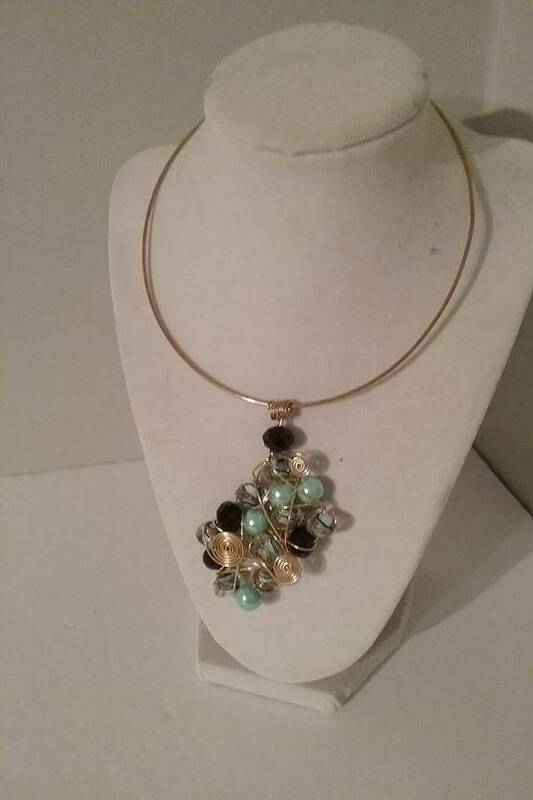 Golden wire choker with glass teal, black, and teal marbled beads. 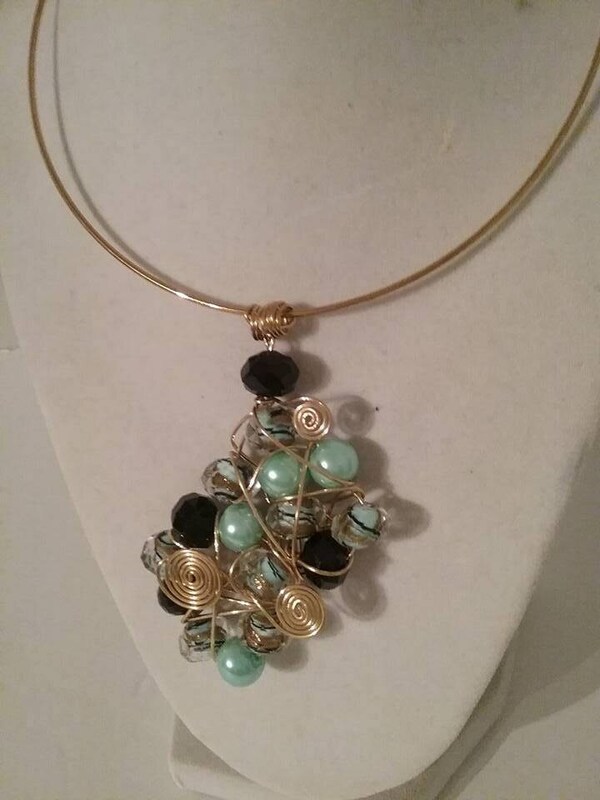 Wire wrapped spirals add character. Handmade. Beads are wire wrapped to make a one-of-a-kind pendant. 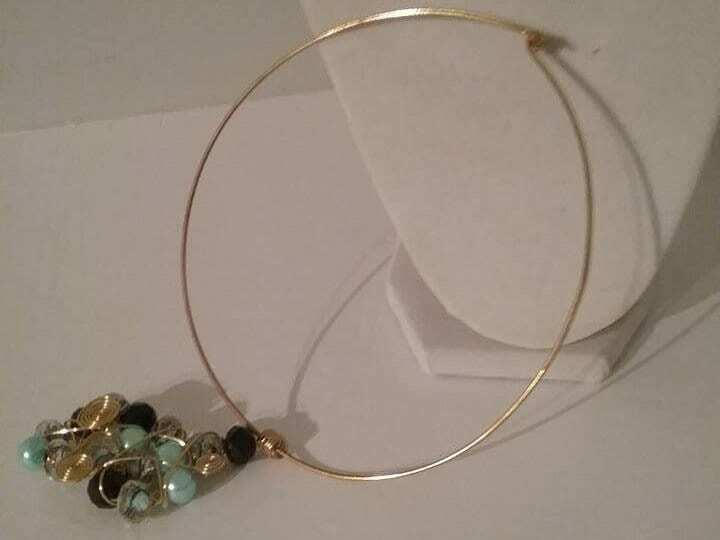 Choker has ball and hook closure. Beautiful colors with boho appeal. One-of-a-kind gift for that special friend.